Before exporting to NetSuite, you'll need to approve the timesheets in Deputy for each employee to ready them for export. You can find an overview of how to do so here. Next, you'll need to connect your Deputy account to NetSuite. To do so, please login to your Deputy account and go to the Locations tab at the top of the screen. Next, please click "Settings" next to the name of the location you'd like to link the account with. Next, click "Payroll" on the left, where you'll see the option to connect to NetSuite as shown below. After doing so you'll need to enter your details in the screen appearing below. Please ensure you have pop-ups enabled. The NetSuite Email Address and Password are the same as those you use to login to NetSuite. After you have found these details, please enter them in the Authentication screen and click "Authenticate". 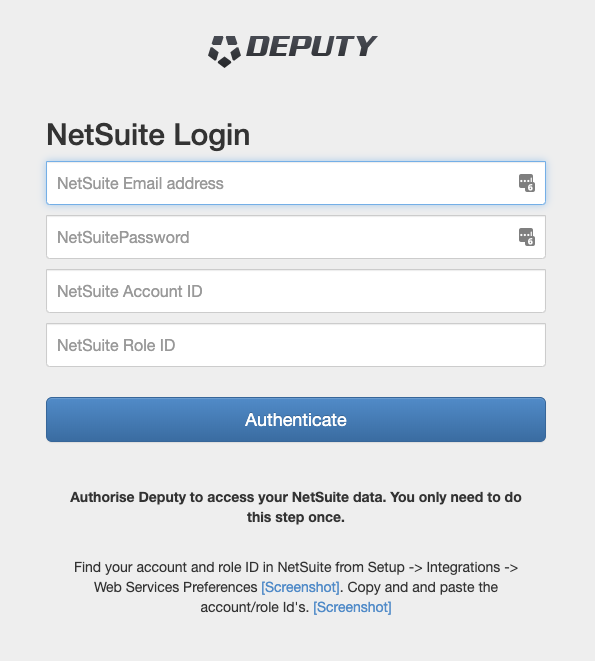 Once you have found an employee's Internal ID in NetSuite, please find the employee in Deputy on the People page. Next, click "Options->Edit" to the right of their name. Next, scroll to the bottom and enter the NetSuite Internal ID as their Timesheet Export Code. Please select the employees to export on the left hand side. To quickly select all employees click "Select All". The details will then be displayed on the right hand side. If you need to edit an item, please click on the item in the list to the right and select "View or edit original item". After selecting the employees and timesheets you'd like to export, please click "Export Selected Items". 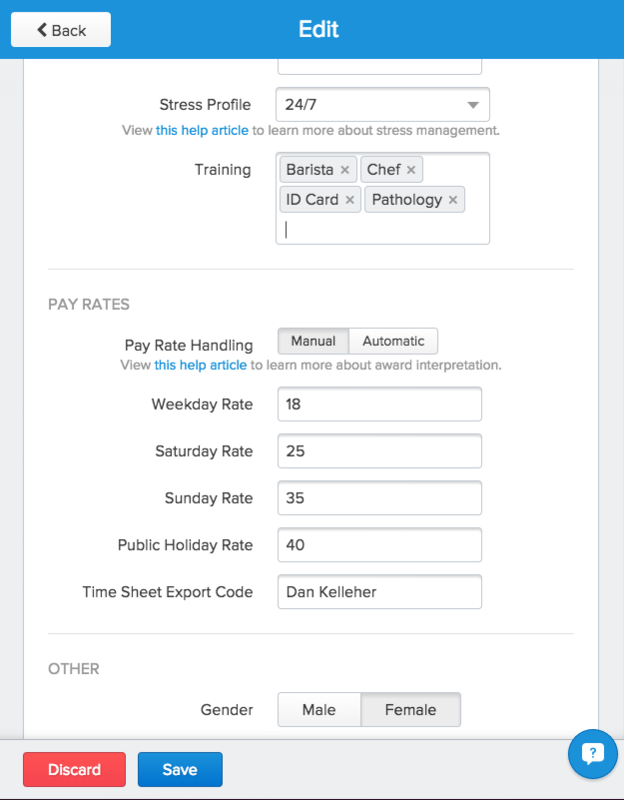 You'll see a small popup window appear on the screen, asking you to select a payroll application to export to. Please open the drop-down menu and select "Netsuite Export". You can tick the overtime rules you follow for your state and then click "Export".